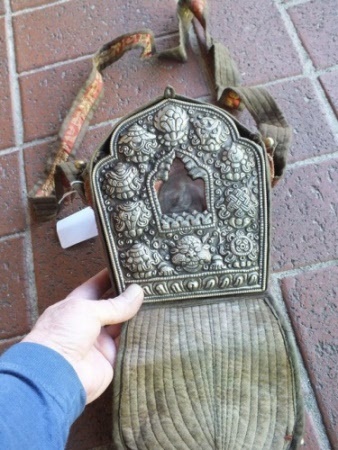 Gau, Ghau or Gao - Portable Shrines with Deity inside Tibetans and Nepalese Buddhist Carry them when on long journeys from home. They have been blessed and have offerings of wheat and herbs sealed inside. 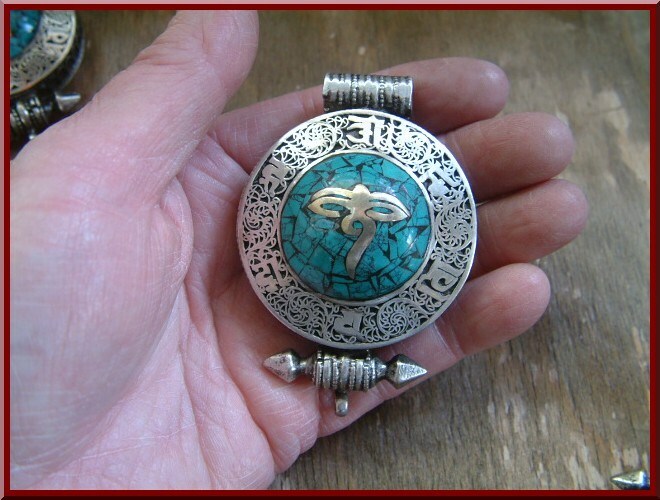 These are Metal Gau, they open like a locket and you can carry anything inside. 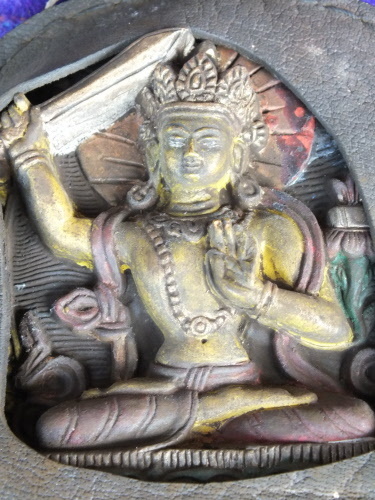 Tibetan Buddhist usually carry their prayers printed on paper inside. Buy one and you get a FREE attractive woven cord to wear it with. 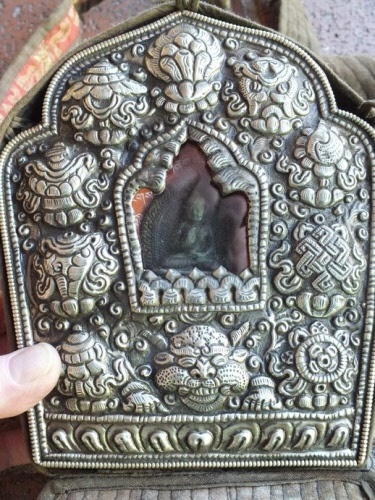 Made from metal in Nepal. Has Tibetan Om Symbol in centre with red coral, lapis and turquoise chips. 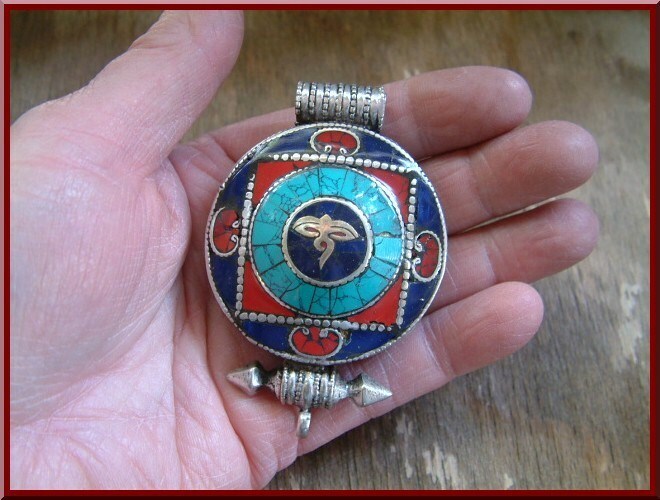 Opens at the back like a locket to put whatever you wish inside, and comes with a FREE attractive woven black cord to wear it around your neck or hang on a wall. 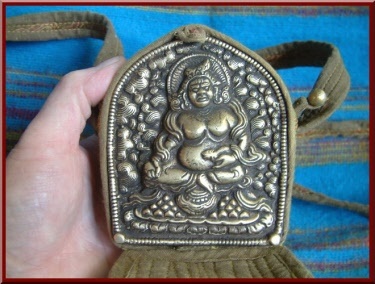 Made from metal in Nepal. Has Buddha Eyes design in centre with Turquoise chips. 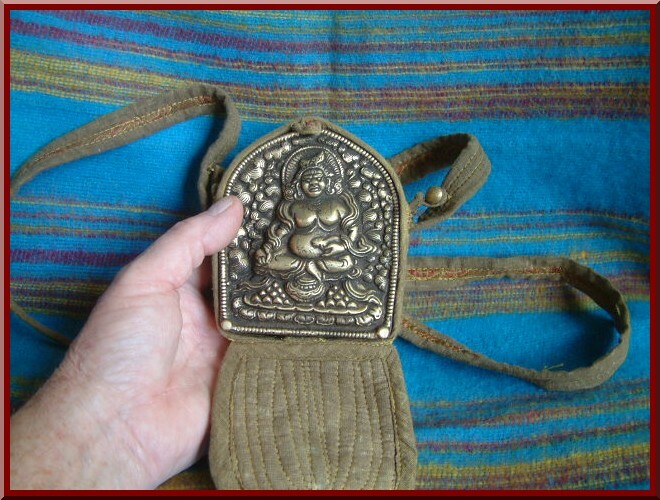 An original old Gau, used by Tibetan Buddhist's when travelling, you will always have your Manjushree with you. 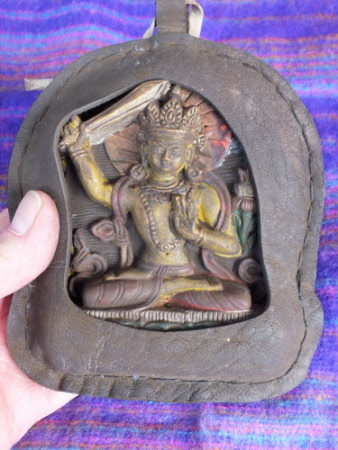 Basically a portable shrine that Tibetans would take on long journeys. 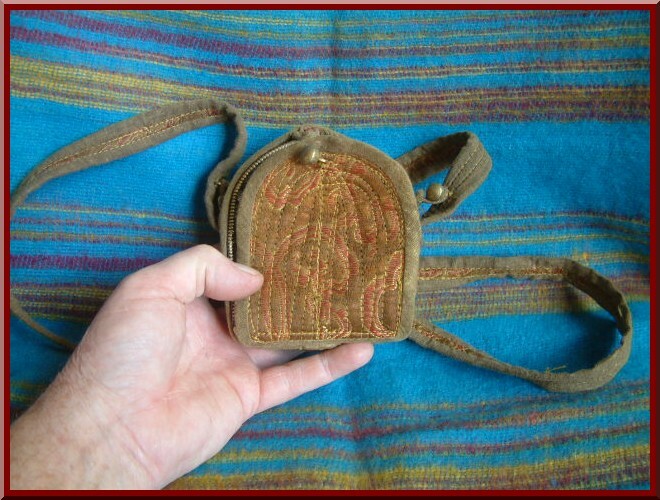 The outer is made from leather with a cord at the back to hang on your wall. Buddha is carved, this is a very interesting item for a collector or enthusiast. 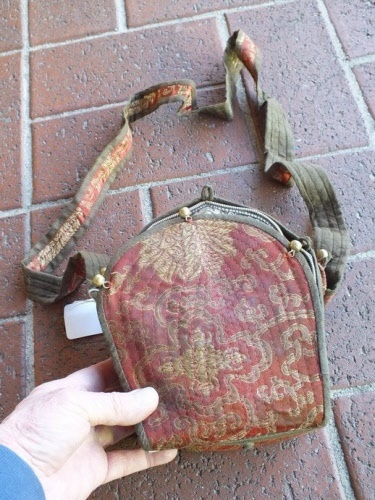 It is old but not sure how old. Definitely not a tourist trade item. 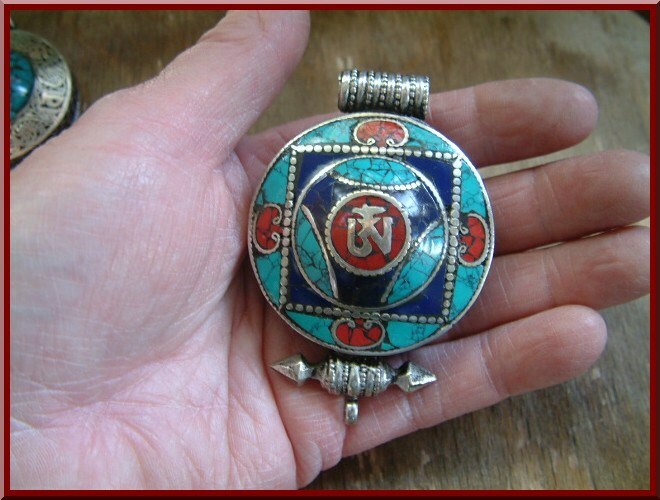 This is a very large Gau, has a Buddha image inside and the Tibetan Buddhist Lucky - Eight Auspicious Signs around the outside.